Today in 1884, the first part (or “fascicle“) of the Oxford English Dictionary was published, a 352-page volume, defining words from A to Ant. The full title of the dictionary when it was first released was A New English Dictionary on Historical Principles; Founded Mainly on the Materials Collected by The Philological Society. 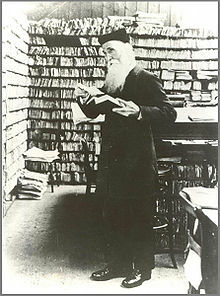 In April 1928, the last volume was published – instead of 6,400 pages in four volumes as originally planned, the dictionary contained over 400,000 words and phrases in ten volumes. The Second Edition (OED2), published in 1989, contained over 60,000,000 words in 22,000 pages, bound in twenty volumes. On March 14, 2000, the Oxford English Dictionary Online (OED Online) became available to subscribers. The online database contains the entire OED2 and is updated quarterly with revisions. The planned Third Edition (OED3), is intended as a nearly complete overhaul of the work. Each word is being examined and revised to improve the accuracy of the definitions, derivations, pronunciations, and historical quotations—a task requiring the efforts of a staff consisting of more than 300 scholars, researchers, readers, and consultants, and projected to cost about $55 million. The result is expected to double the overall length of the text. The pace of inclusion of new words has been increased to the rate of about 4,000 a year. As of 2007, the third edition was expected to have 480,000 words and to be completed in 2037. This entry was posted in Dictionaries, Knowledge compilations, This day in information. Bookmark the permalink.